"Even if you believe in an RNA-only world, you have to believe in something that existed with RNA to help it move forward." A new study by chemists at The Scripps Research Institute (TSRI) offers an alternative to a well-known framework of how life originated on Earth. The findings, published in Angewandte Chemie, put a new spin on the “RNA world” hypothesis, suggesting that RNA and DNA possibly developed at the same time. “Why not think of RNA and DNA rising together, rather than trying to convert RNA to DNA by means of some fantastic chemistry at a prebiotic stage?” he said. The “RNA world” hypothesis suggests that RNA emerged from the mix of chemicals found on our planet approximately 4 billion years ago, and was the first self-replicating molecule. It then went on to form more complex structures, such as enzymes and proteins. 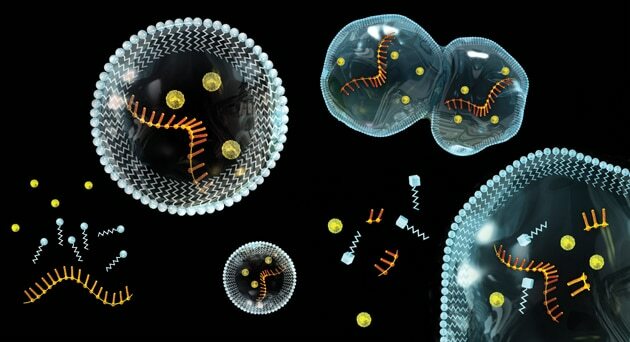 These, in turn, made DNA– and, by extension, complex life. RNA and DNA are actually not too different. DNA is characterized by a ladder-like helix structure, with a sugar backbone and nucleotide pairs as rungs. RNA, on the other hand, looks like half of that ladder. For DNA to have emerged from RNA, an interaction between RNA and DNA components would have been inevitable—say, a pairing of RNA nucleotides and a DNA backbone (called “chimeras”). This configuration, however, was not stable. The chimera would have most likely died off in favor of the pure variants. Not to preclude the notion of DNA developing from RNA, but the evidence from the study suggests that DNA actually evolved earlier that we initially predicted. Though we could never precisely figure out how and when life actually began on Earth, our quest for understanding the fundamentals of biology could prove invaluable in our quest for life on other worlds, as we move forward in our exploration of the cosmos.